Once in a while, you come across an idea so profound it changes your thinking forever. This was my experience when I learned about scaffolded pedagogy and the Zone of Proximal Development, when I was teaching English to adult migrants and refugees. Over time, I realised this concept applied not only to children and adult language learners, but to everyone. Especially in the workplace. The person who conceived this idea was a Russian psychologist, Lev Vygotsky (1896–1934). One of the things that made this so significant for people in the West was that his ideas did not reach the West until the 1960s, largely because of the Cold War. You can read about his theory of social development here. The author of this article explains: “…Vygotsky felt social learning precedes development.” For me, the implications are that everyone learns at different rates and needs differing amounts of support; and that other people have an essential role to play in helping you learn new tasks. Vygotsky called these people More Knowledgeable Others, those who have “a better understanding or a higher ability level than the learner, with respect to a particular task, process, or concept…normally thought of as being a teacher, coach, or older adult…” and emphasised the importance of cooperative or collaborative dialogue. Equally important is his idea of the Zone of Proximal Development (ZPD): “the distance between a student’s ability to perform a task under adult guidance and/or with peer collaboration and the student’s ability” to undertake a task independently. Vygotsky believed that the Zone of Proximal Development is where learning happens. I believe, not only is our ZPD unique to us, it’s different for different tasks. When you learn something new, you have different knowledge and skills to call on. That’s why each of us learns differently and in different ways. It’s also why individualised learning is so much more successful than a one-size-fits-all approach. Generally, people begin learning something new with little knowledge and few skills. The More Knowledgeable Other (MKO) ‘scaffolds’ or supports their learning and, as their knowledge and skills develop, the learner’s ability to undertake tasks increases. The learner completes the tasks with increasing success and decreasing support, and the scaffold is gradually withdrawn. Finally, the student is able to complete the task successfully, without support. A common example is learning to drive. A learner driver must be accompanied at all times by a competent, licensed driver. This MKO starts them off in back streets and empty parking lots, until they can – at the very least – steer and brake. Later, the learner drives on busier streets, then motorways and in peak hour. Once the learner passes the driving test, they are permitted to drive alone. However, their licence is provisional and has specific restrictions. A driver must hold a provisional licence until sufficient time has passed without serious driver errors, when they are permitted to hold a full licence. While these ideas were conceived in the context of child development, I believe they apply to adults too. How much support you need and how quickly you learn, depends on the resources you have to bring to your learning. If you can already speak six languages, chances are a seventh won’t be too much of a struggle. But if you are learning a second language for the first time as an adult, it will be far more challenging and you will need support. If you get a new job in your field, you may find some aspects difficult at first. But if you decide to have a career change, chances are you won’t be able to do this without assistance and even formal study. 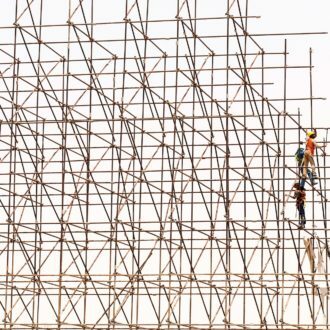 If you are given new tasks at work for the first time, try to find someone willing to be your More Knowledgeable Other, to work with you and scaffold your learning, until you can complete those tasks successfully – and independently. In other words, find a really good mentor. Next week – the manager’s role.